I have served as an elected Member of the European Parliament since 1994. Ever since starting my political journey on the European level as a parliamentary observer in 1991, I stand for a Europe of social justice, solidarity and inclusion. As an MEP I commute between Leipzig, Brussels and Strasbourg. Once a month, the Parliament gathers in Strasbourg for a plenary meeting. At this meeting the Parliamentarians discuss and vote on new legislative proposals and resolutions. Moreover, they meet representatives of the EU Council and the European Commission, exchanging views and refining opinions. Nevertheless, the bulk of the European Parliament’s work takes place in Brussels, especially in the individual committees. Since 2004 I am the coordinator of the European Socialists in the Regional Development Committee (REGI). I have been advocating for a European development process that is built around the principle of social justice. In this vein, my efforts are focused especially on Saxony and the East German Länder to help them catch up with the more developed regions. Apart from Strasbourg and Brussels I am also working in my local constituency. It is very important to me to maintain close ties with the citizens of Saxony. 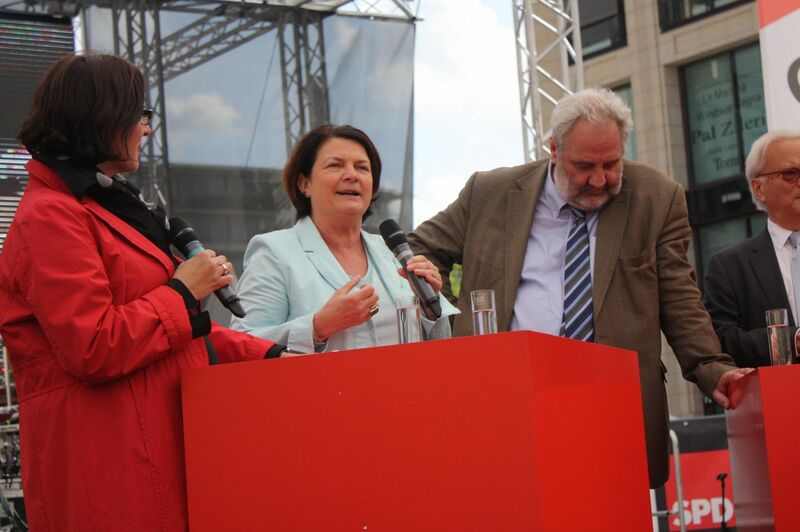 I try to bring European politics home by participating in public events on European, German and local issues. At the same time, I take up citizens’ concerns, carrying them with me to Brussels and Strasbourg.